In most countries, the mere sight of a spider or a spiderweb would be enough to send someone running out the door screaming. Not in Ukraine. In fact, spiders are actually quite welcome around the Christmas season. The reason: they allegedly bring good luck. According to the official website of Ukraine, the tradition dates back to an old legend, in which a bunch of spiders saved Christmas for a poor window and her many children by decorating a pinecone they were using as a Christmas tree with spider webs. 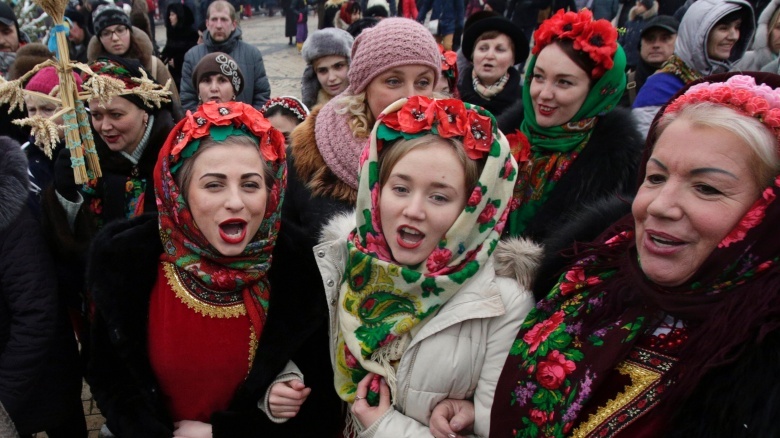 "To remember this miracle, Ukrainians still decorate their trees with artificial spider webs to this day to usher in good luck and fortune for the coming year," the website reads. That's all well and fine. But, honestly, this sounds more like a trick being played on the citizens of Ukraine by the companies that make fake spiderwebs. Halloween wasn't enough for you greedy weirdos, huh? Around the world, countries ring in the New Year in fun and exciting ways, from watching a ball drop in Times Square to setting off giant displays of fireworks. But throwing your old furniture out the window? Well, that's another story. Such has been the tradition for many years in the crime-ridden Hillbrow neighborhood of Johannesburg, South Africa. According to The Wall Street Journal, the tradition started in the 1990s "after the end of South Africa's white minority apartheid rule." Naturally, the tradition has become incredibly dangerous over the years; according to the report, several years ago, a person was struck on the head and body by a falling refrigerator. As such, police have begun monitoring the neighborhood in armored vehicles to ensure the tradition comes to an end. 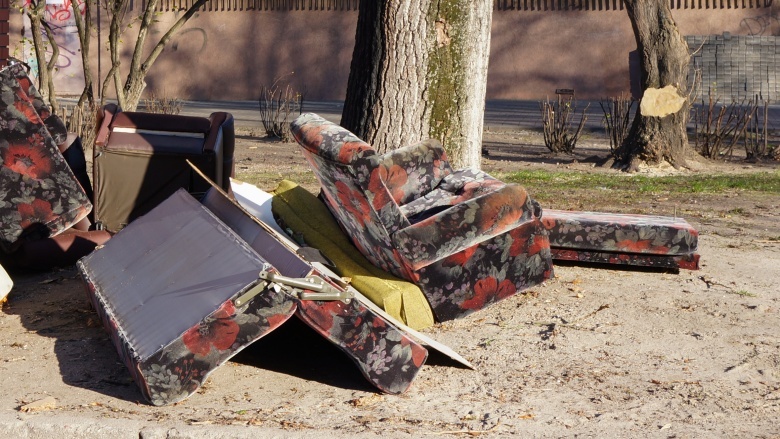 In 2013, for example, police considered it a "mission accomplished" that no one in the neighborhood chucked furniture out the window that New Year's Eve, even though the night was filled with fistfights, fireworks, and glass bottles being flung at pedestrians, according to The Wall Street Journal. Well…baby steps? When you think about Christmas dinner, your mind immediately goes to staples like ham, turkey, and mashed potatoes, or even the fancy Christmas goose. For people who live in Japan, however, it's all about the fast-food chain KFC. According to Smithsonian Magazine, the tradition began all thanks to a successful campaign launched by KFC back in 1974. 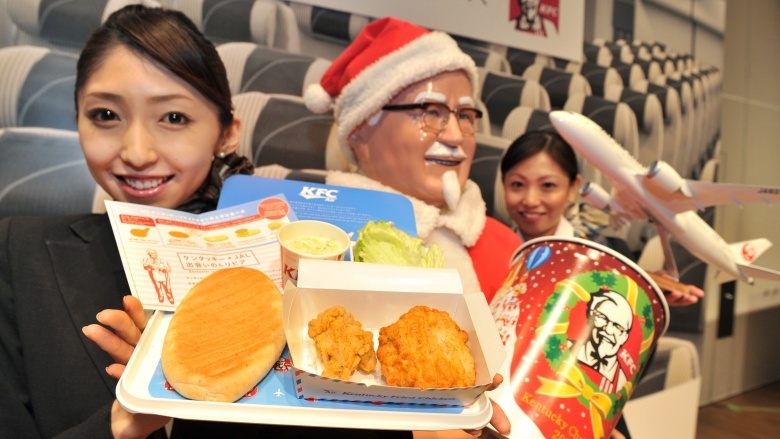 "When a group of foreigners couldn't find turkey on Christmas day and opted for fried chicken instead, the company saw this as a prime commercial opportunity and launched its first Christmas meal that year," the magazine wrote, referring to the "insanely successful" "Kurisumasu ni wa kentakkii!" (Kentucky for Christmas!) marketing campaign. On the menu: chicken and wine, which in 1974 went for about $10. Over the years, the campaign has gone on to include cake and champagne. As of 2012, it'll set you back about $40. The report goes on to say that the tradition has become so popular as of late that people actually order their KFC dinners months in advance. It's all to avoid the long lines, which can stretch over two hours, according to the report. It should be noticed that Christmas is not a national holiday in Japan, due in part to its very small Christian population. But, c'mon. Who hasn't gone crazy on a bucket of chicken and wine now and again? 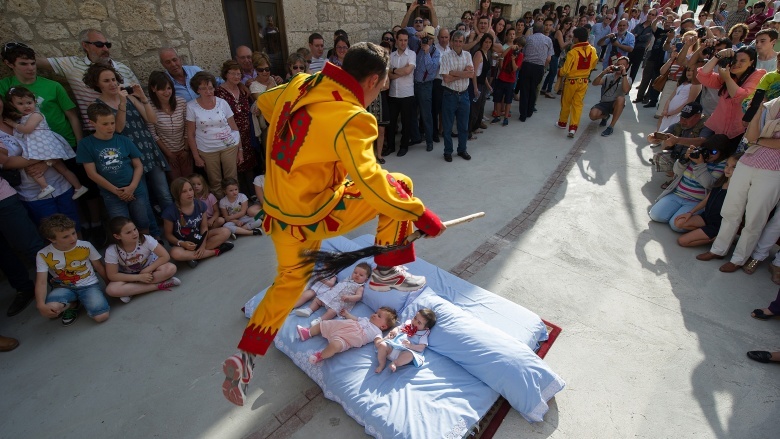 According to Slate, the Spanish village of Castrillo de Murcia hosts a yearly festival in which parents baptize their newborns by having men dress up like the devil and jump over them. Known as El Colacho, the festival reportedly takes place 60 days after Easter each year, during the village's Corpus Christi feast. "During the holiday, parents with children born during the previous year bring the little tykes out and place them in neat rows of pillows spaced out down a public street," the report says. "Then, while the excited parents look on, men dressed in bright yellow costumes and grotesque masks begin filing through the crowd, whipping bystanders with switches and generally terrorizing everyone." Sounds freaky, right? Slate says the devils proceed to jump over the rows of babies "like Olympic hurdlers" in order to absolve them of "man's original transgression." 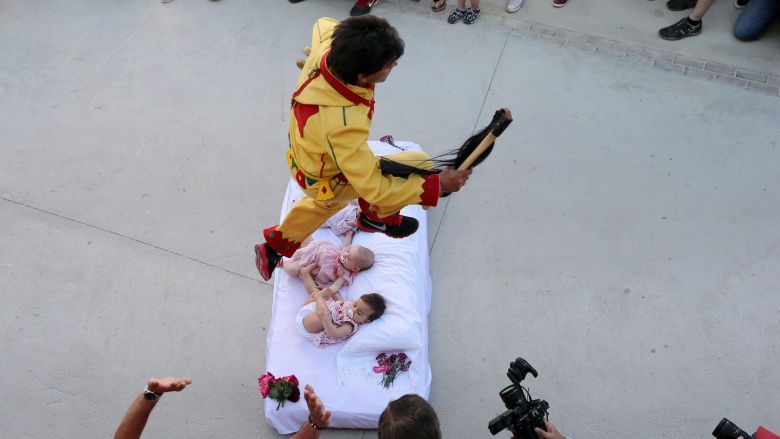 Once that freaky part is over, the babies get rose pedals sprinkled onto them and are released to their parents. The tradition dates back to the 17th century, says the article, adding that no injuries have ever been reported. Spain saves all of their completely avoidable annual injuries for the Running of the Bulls, obviously. Greek citizens take the tradition of losing baby teeth to new heights, quite literally, by having children chuck their baby teeth onto the roof after they fall out. This tradition is reportedly done to help the kids' full teeth grow in small and healthy. Despite their best efforts, though, the tradition appears to be having a reverse effect. 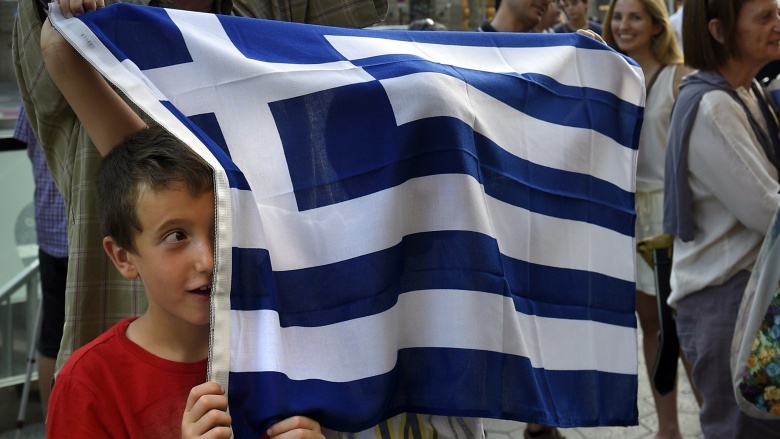 According to a report by Reuters in 2015, Greek children "now have some of the worst dental health in Europe." Part of the reason behind this, Reuters writes, has to do with the country's dire economic crisis that sprouted over the last few years. "More than 8 percent of Greeks skipped dentist visits in 2013 because it was too expensive, well above the 5.1 percent European average," Reuters writes. Bad teeth and no money? Sounds like the Tooth Fairy's been drinking on the job. If you think letting your newborn sleep in a cardboard box is a crazy idea, well, you clearly haven't been to Finland. 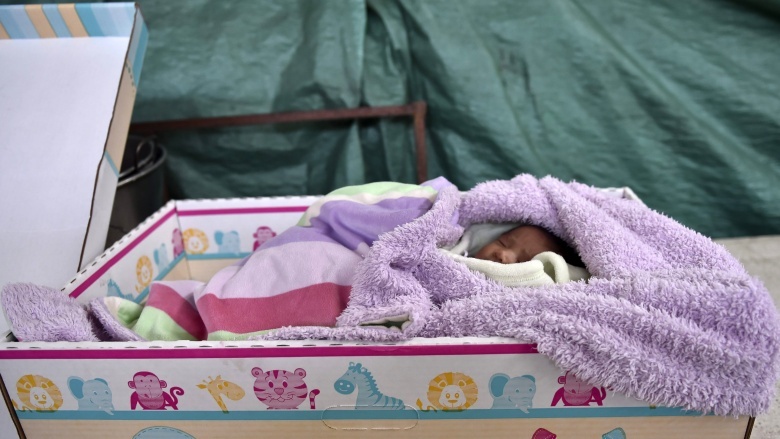 According to BBC News, the country has celebrated a decades-long tradition of receiving a maternity box by the government, which is designed to "give all children in Finland, no matter what background they're from, an equal start in life." Contents of the box include everything from a "light hooded suit and knitted overalls," to bra pads, condoms and, of course, bedding that includes a mattress, the report said. The mattress is actually located at the bottom of the box, which moms then turn into a crib for a brief period of time. The campaign has been extremely popular over the years. BBC News says that 95 percent of moms choose the box over a cash grant worth 140 euros. In fact, it's been such a success, many have attributed it to the steep drop in Finland's infant mortality rate, according to the report. America should get in on that. Cardboard box beds for all!